He is described as not just an artist but also a cultural anthropologist and dub-griot. 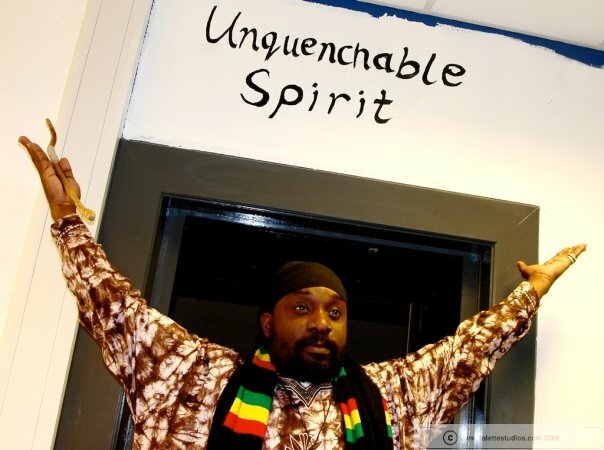 He uses his skills as a singer/songwriter and a dub-poet to capture his audience, whilst taking them on a cultural, spiritual and political journey. His multi-disciplinary skills as a performer have landed him roles in plays at the Royal Shakespeare Company and The Birmingham Rep. Theatre; and his work is currently being studied by Dr. Eric Doumerc, a French academic who is conducting ongoing research on Black British Performance Poets with Caribbean heritage. On top of that he is featured in a recently published poetry anthology; RED: Peepal Tree Press. This entry was posted on February 28, 2010 at 3:03 pm and is filed under Articles, Black British Literature, Black History, Newsletter with tags Articles, Black British Literature, Black History, Newsletter. You can follow any responses to this entry through the RSS 2.0 feed. You can leave a response, or trackback from your own site.